How much does a website cost? Of course this is the first question that everybody always asks me. 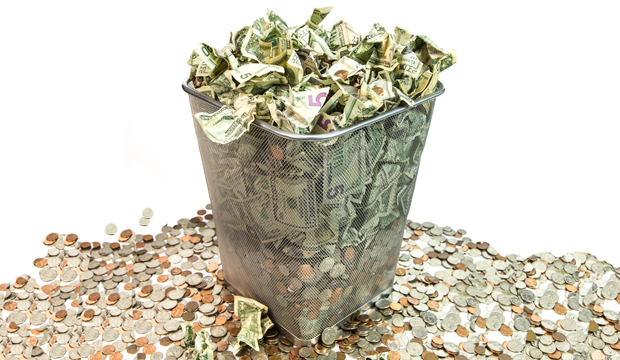 …With so many options and add-ons available, the cost can vary drastically. Say you are going to get a new system and you start with a new 55-inch widescreen LCD TV. You can get a nice name-brand for under $700. 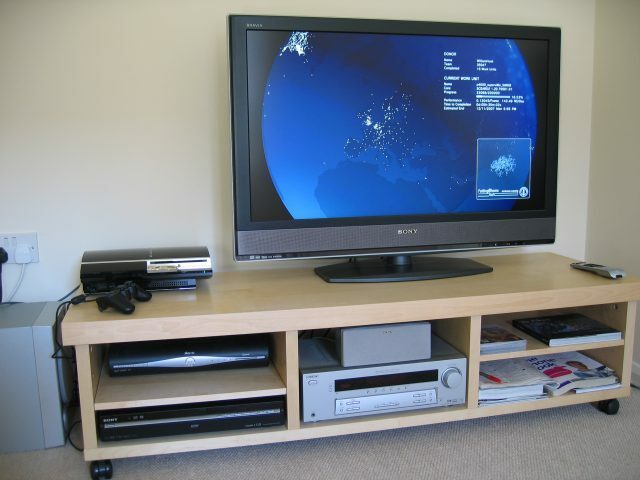 A home theater system consisting of large-screen LCD television, a Sky+ HD satellite TV box, and a DVD player (and a Blu-ray Disc-capable PlayStation 3 game console). All equipment is on a premium TV stand. But then you start thinking about adding on one of those streaming media/Blu-ray/DVD players. And what about getting a decent quality sound bar or maybe even one of those big “home theater” sound systems? And there goes a couple thousand bucks into your budget. Of course you then have to have a super strong TV stand – with a media storage cabinet for all your movies. So there goes several more hundred. But what if your family or the neighbors next door complain that the ice rattles in their drink glasses during football games? If you think about it, maybe you should move everything into a “dedicated” TV room/den/man-cave/basement? Now that you have more space, you can really invest and get a bigger flat screen (90-inches) – which requires a whole new mounting system (and reinforcing your walls) – plus a BIGGER sound system with ceiling mounted speakers, etc. 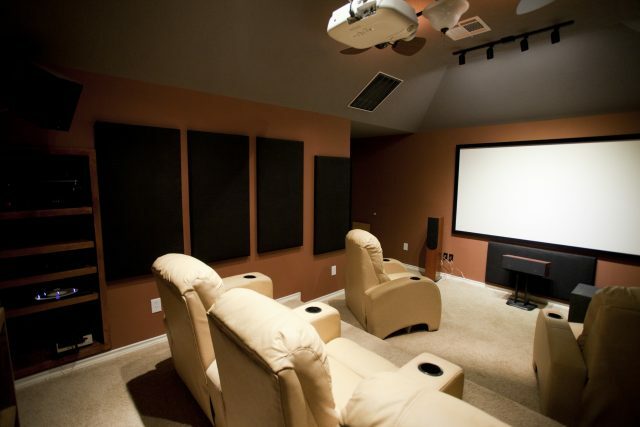 A dedicated home theater room with acoustic treatment, professional wiring, equipment and speaker placing! And oh, yeah don’t forget, you can get a couple nice, cushy “theater” recliners! But wait there’s more — what about adding a mini bar with a fridge? Okay, I’m was exaggerating just a bit for effect. But as you can see the costs for a “simple” home entertainment system can quickly add up from under $700 to $1,000’s of dollars depending on what you want. Did you know that the average American sells or trades their TV set every five to eight years? So why do so many people elect to get so many optional upgrades like Blu-ray players and high-end home sound systems? The answer is because most people understand the importance of getting what they want the first time – so they don’t have any regrets later on down the road. Since most Americans spend over 5 hours a day watching their TVs, people naturally want to make sure that their entertainment systems will provide them with all the comfort, quality, longevity, and ease of use they can currently afford. These same principles typically apply to most business website projects. Your potential customers are going to see your website every day for as long as you have it online, so having the right website design and hiring the right developer to build it for you is critical. So as a small business person, you need a website that is like a good salesperson, one that produces results and brings in more customers. You need to get the maximum benefit from your website — with minimum maintenance hassles, while reducing any online security risks. Unfortunately, some people only focus on the initial price of the design and the installation costs. They are set on finding the cheapest web designer around, thinking this will save them money. 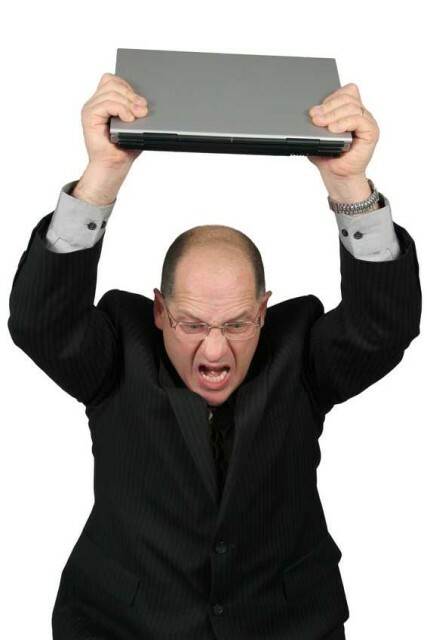 All of the above factors inevitably leads to the website owner becoming dissatisfied — especially considering that unlike a TV set or DVD player, a website can’t easily be “replaced” if the owner becomes frustrated and unhappy with it. While every website has to have a domain name and web hosting, these two costs are actually rather cheap. So the next four factors are typically the ones that directly affect website costs. The People Building It. Your website designer can be a soloist (like me) or you can hire an agency where you will often work with a team (a customer rep, a web designer and/or a developer-programmer). In either case you are depend on the reliability and skills of the people involved. The Design Process Behind It. When I first started out I developed websites using the old “flying by the seat of my pants” method. After having pissed off clients and having sites that kept crashing, I quickly developed a system of building functional and profitable sites. You can read more about my design process on “My Approach” page. The Website’s Features. If you need more advanced features on your site such as an eCommerce shopping cart (for either digital or physical products), a user forum or an online calendar, booking or appointment system, your website is naturally going to cost more. The Website’s Content. Writing and developing your site’s content is usually the most time consuming and important (yet overlooked) parts of a website. Well written persuasive copy is the primary method that turns visitors into leads and in-store traffic. Any of the above factors can quickly increase the cost of even the simplest website. If you want to learn more about how much our websites cost, then click here to > Request a Free Consultation.